My real goal in attending CES is to look for products and services that those of us that still use computers, will find helpful as we wind our way through the minefield of Microsoft and its Windows 8 Operating system. Unfortunately, we won’t find Microsoft on the show floor and despite the size of the show at a listed 2.2 million square feet (how about the size of 50 football fields); many of the companies I went looking for were elsewhere to be found. 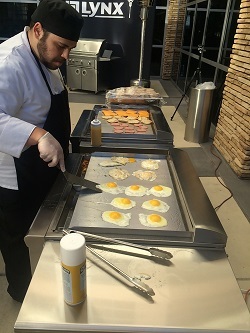 Antec took up the 17th floor of the Las Vegas Marriott hotel which is just a short walk away from the main entrance to the convention center; and many of the other companies I went looking for where in other hotel ballrooms and places. But no matter that I covered around 6 plus miles a day according to my iPhone health app; there were a lot of really cool things to see. 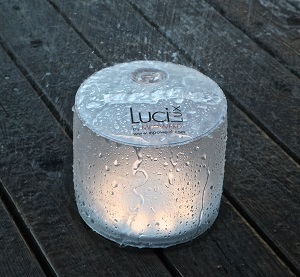 Luci is an inflatable solar lantern from MPOWERD, www.mpowerd.com It is simple, functional, attractive, and cool to boot. MPOWERD is a socially conscious award winning consumer product’s company founded by people that want to make a difference to people around the world that must live without electricity and light. They call it solving energy poverty. The Luci light is 4 inches high and a diameter of 5 inches collapses to a single inch and weighs just 2.6 ounces is shatterproof, waterproof rated, and floats and will last up to 10 years without every changing a battery. 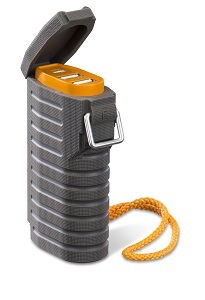 It retails for just $15 and will light it up for seven hours on a full charge. I like to travel and I spent most of September this past year in China seeing some wonderful sights. What I really could have used on that trip was the ChargerLeash. 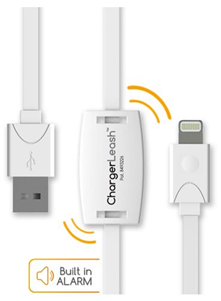 http://www.chargerleash.com for $35, you can get an incredible amount of peace of mind for your iPhone (and android devices) while traveling and not worry about leaving the charging and sync cord behind. To, me, even without the built in alarm to tell you when you have unplugged your device and have started to walk away, the cord is so well made that I would never worry about stripping the cable from the socket switch. I even picked up one for my daughter when she travels with me on some of our trips around the country. This stays in my travel bag. Then what was hot that I did not stop to take a look at? Well, quite a bit actually. With a show this size; 170,000 people wandering around; booths that cover floor space the equivalent of 50 football fields (US); there really was an overwhelming amount of territory to cover. The Sands convention center was the showcase of all things healthy and fitness related and I certainly did my part by losing weight as I wandered those many miles each day but just didn’t have the time to get there. Also over there was a huge presence of 3D Printers. Everything from plastic trinket printers to those that can make real tools. Dozens of companies have 3D printers and you can even buy one at Staples. Printers that can print color, different materials, different formats and even fabrics. From trinkets to fashion to tools. Stay tuned.